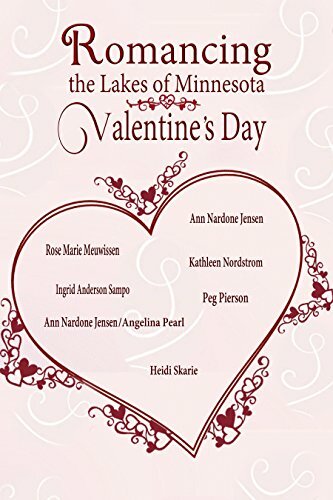 A Date for Valentine’s Day, a short contemporary romance story set at the Lafayette Country Club on Lake Minnetonka in Wayzata, is available in the anthology, Romancing the Lakes of Minnesota—Valentine’s Day. Maggie Johnson immensely disliked Valentine’s Day. Luckily, her mother was determined to change Maggie’s mind. The charity auction for a Valentine’s Day Dinner Date with one of Minneapolis’ most eligible bachelors could just be the solution. But, would Maggie be open to finding someone to love on Valentine’s Day? 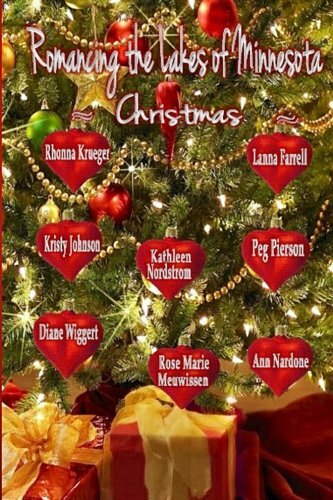 Old Yule Log Fires, a short contemporary romance story. The Old Log theater manager, Tara, has a Christmas crisis. Ty, her high school sweetheart, now a Hollywood heartthrob, is back and starring in the big holiday show. It’s been ten years. Sparks will fly, but can the smoldering ashes from an old log catch fire and allow the flames of true love to burn once again? 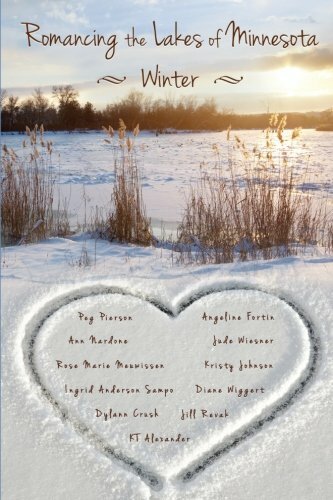 Blizzard of Love, a short contemporary romance story set at Lutsen Ski Resort on Lake Superior, in the Romancing the Lakes of Minnesota—Winter. 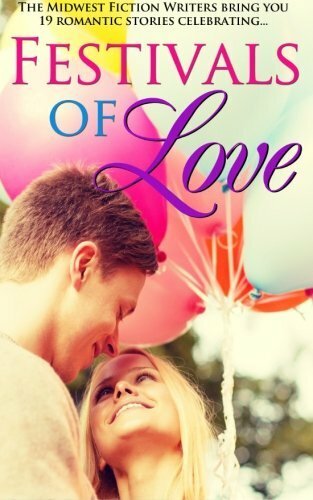 Stuck in a ditch with her two teenage daughters on their way to Lutsen Ski Resort in the midst of a raging blizzard, Kari realizes her rescuer may be just the man to put her back on the road to love again. 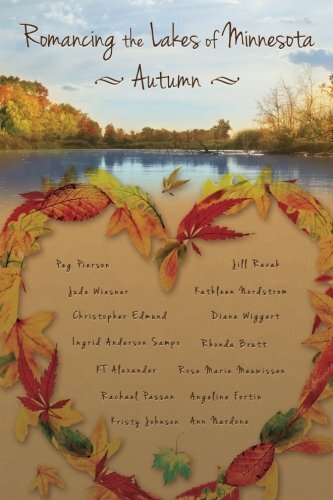 Railroad Ties, a short contemporary romance story set in Two Harbors on Lake Superior, is available in the anthology, Romancing the Lakes of Minnesota—Autumn. Little did Kayla know, by following her late husband’s love of trains to the shores of Lake Superior, she would end up on the right track to fall in love again. 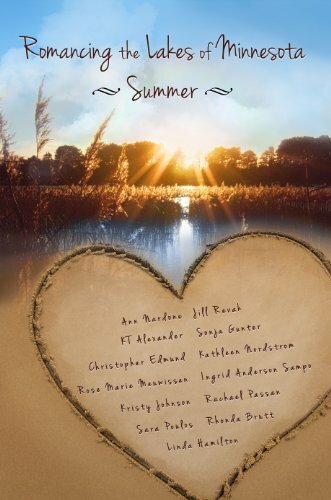 Hot Summer Nights, a short romance story set on Prior Lake, is available in the anthology, Romancing the Lakes of Minnesota—Summer. 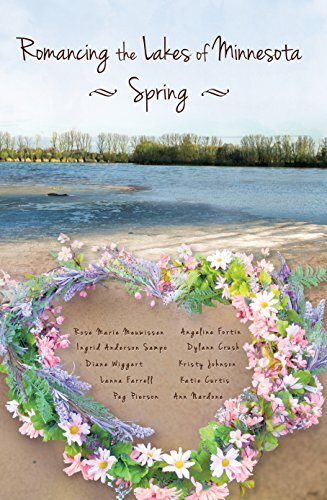 When the boat Rycca Peterson was awarded in her divorce settlement, an internet dating site her best friends signed her up on and her twenty year class reunion are determined she meet Dan Johnston, who is she to say no? 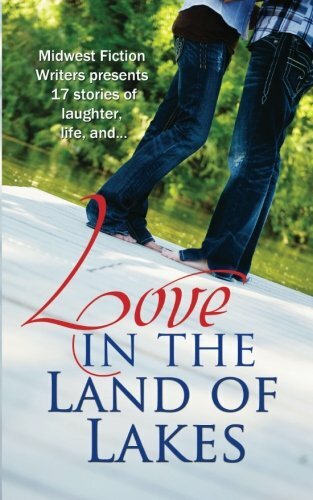 Dancing in the Moonlight, a short romance story set on a Mille Lacs Lake, is available in the anthology, Love in the Land of Lakes. Anna Thorstad never imagined reopening her parents' lake cabin would also open her heart to love again. Romancing the Lakes of Minnesota—Spring. Nor-Way to Love. After her grandfather, Ole Thorson’s death, Sonja embraces her Norwegian heritage, its traditions, and one hot photographer from Viking Magazine. Would her inheritance include a Nordic boyfriend? Sarina never imagined by dancing with her Belly Dancing 101 class on the stage at the Renaissance Festival, she would meet Tony who was definitely one hot guy. But after ditching him at the front gate, would she be able to dance her way back into his heart?